After the Benedictine Monastery founded in 750 was destroyed in the Thirty Years' War, the church and Residence were rebuilt under Prince-Abbot Roman Giel von Gielsberg as the first monumental monastery complex in Germany. 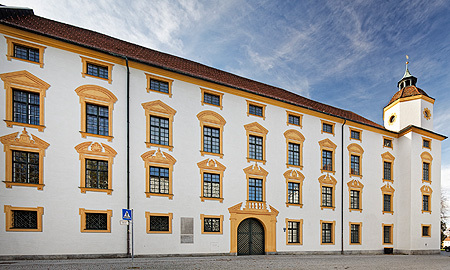 The project was commenced in 1652. 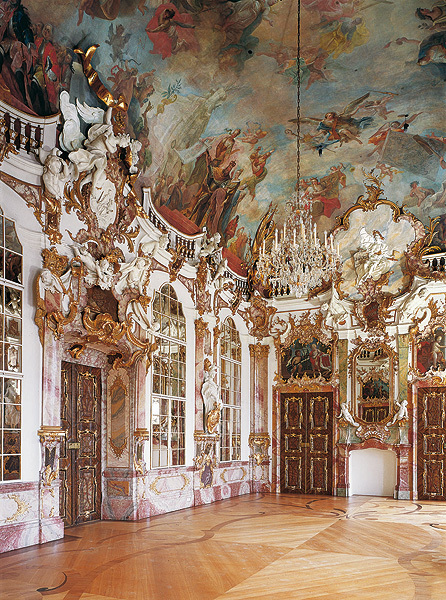 The residential rooms were furnished from 1732-1742 under the direction of the artistically knowledgeable Prince-Abbot Anselm von Reichlin-Meldegg. 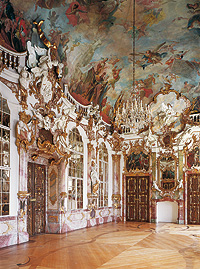 Antechamber, Audience Room, Living Room and Bedroom are in the late Régence style, while the Throne Hall is Rococo. The rooms are unique with their combination of sacred and secular elements and strong, warm colours. Underground parking at the "Königsplatz"